We are very pleased to announce that Open Praxis will publish a selection of papers from the Open Education Global 2019 conference. 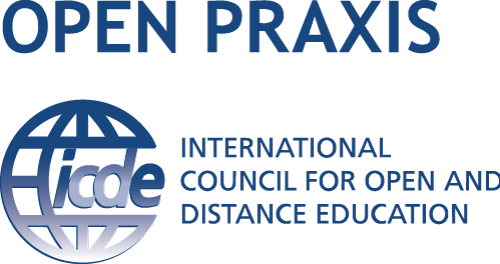 Open Praxis is a peer-reviewed open access scholarly journal focusing on research and innovation in open, distance and flexible education, published by the International Council for Open and Distance Education – ICDE. Articles selected for publication must meet the established Open Praxis Editorial Policies. Proposal submission, stating an interest for publication in Open Praxis: 1 May 2019. We encourage authors with an interest to publish in Open Praxis to submit their proposals before the stipulated deadline or as soon as possible. Expedited review of proposals by program committee and communication to authors: 1 June 2019. Communication to authors, by the OE Global Program Committee, pre-selected for inclusion in Open Praxis: 7 June 2019. Confirmation by selected authors about their intention to submit full papers: 14 June 2019. Submission of full paper to Open Praxis: 15 July 2019. Once Open Praxis editorial process begins, additional revisions may be requested. Feedback to authors from the review committee: 15 August 2019. Revised/final papers due: 15 September 2019. Final communication to authors (acceptance/rejection), layout, proof review, publication: 16 September – 20 November 2019.